Place a measuring tape around the fullest part of the bust. Be sure not to draw the tape too tightly. 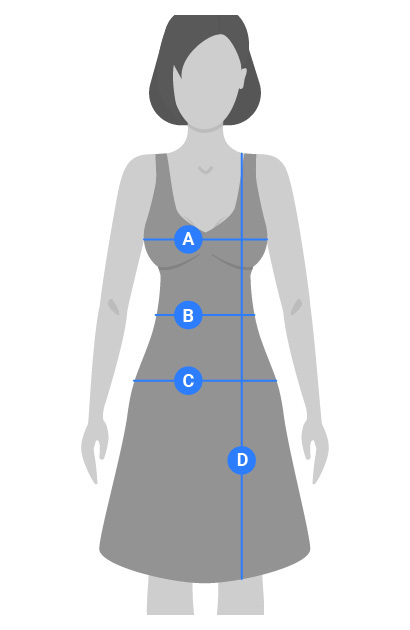 Place a measuring tape around the narrowest part of the waistline. Be sure not to draw the tape too tightly. Place a measuring tape around the fullest and widest part of the hip. Be sure not to draw the tape too tightly.